From beautiful baubles to divine denim, there's sure to be some inspiration in this post for each of CC's Fellow Fashionistas... Enjoy! 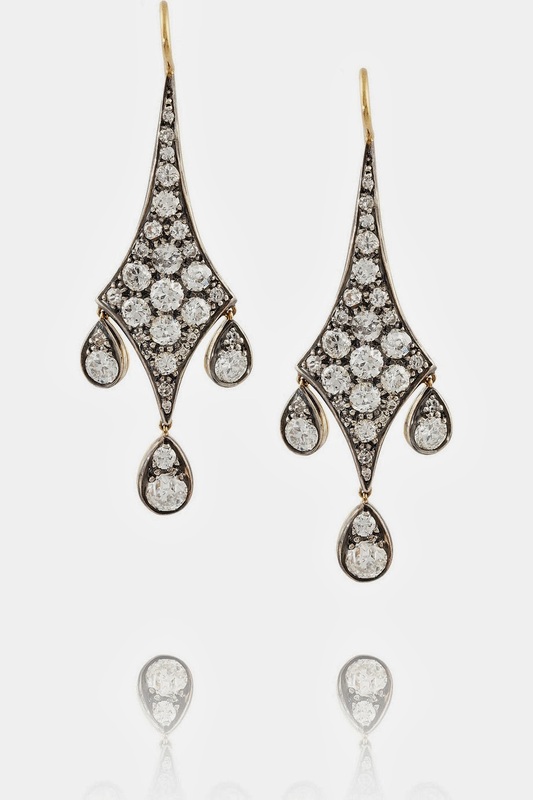 Fred Leighton silver-topped 18 karat gold diamond earrings, at net-a-porter.com. 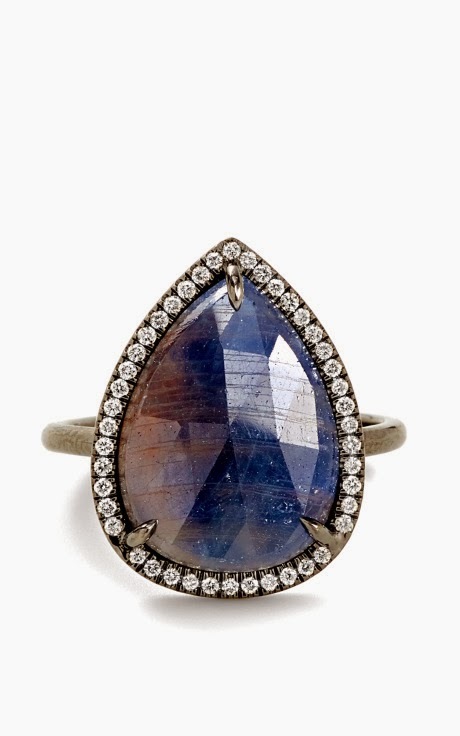 Eva Fehren 18K blackened white gold sapphire and diamond pave ring, at modaoperandi.com. 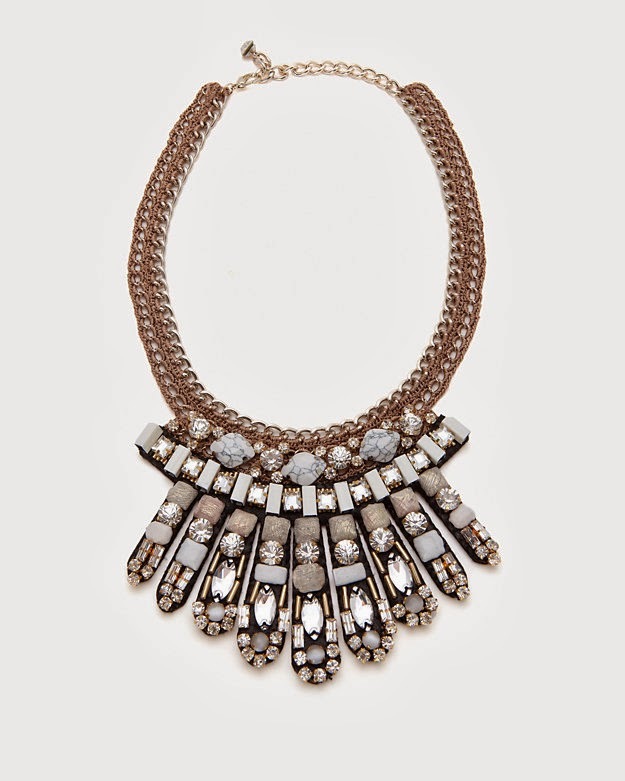 Nocturne Sandi embellished collar, at intermixonline.com. 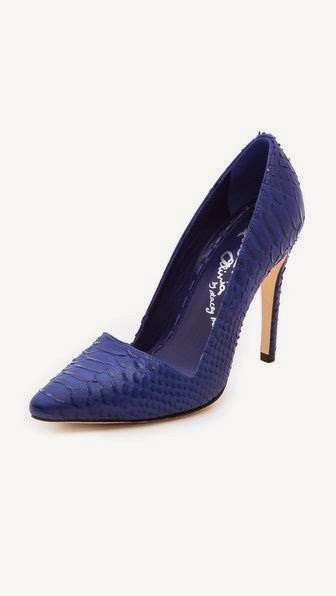 Alexandre Birman python trim Lacey suede sandal. at intermixonline.com. alice + olivia Dina pumps, at shopbop.com. 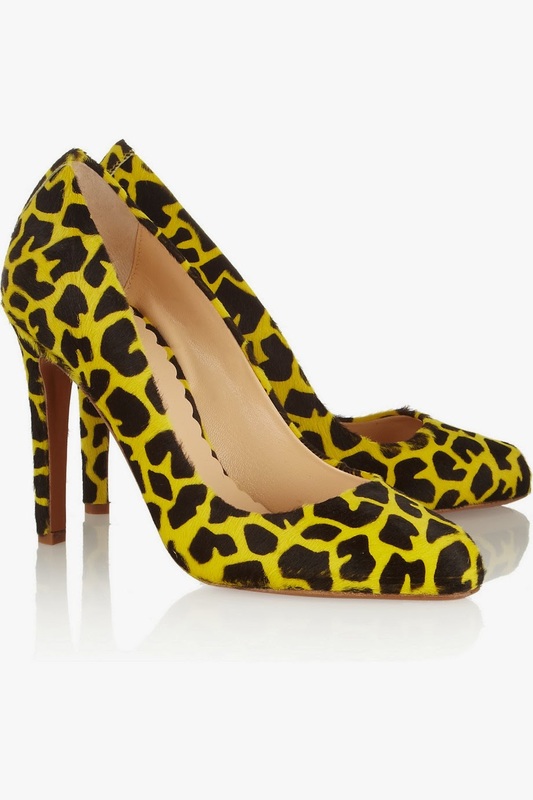 Mulberry giraffe-print calf hair pumps, at net-a-porter.com. 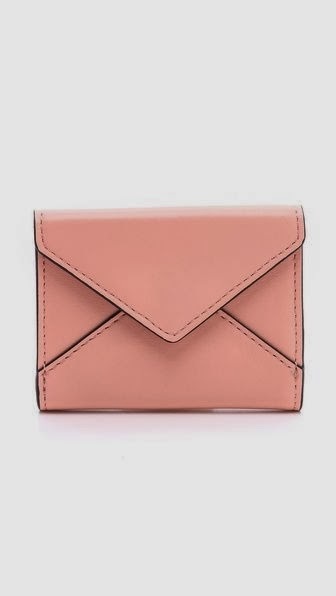 Rebecca Minkoff Dex card holder, at shopbop.com. 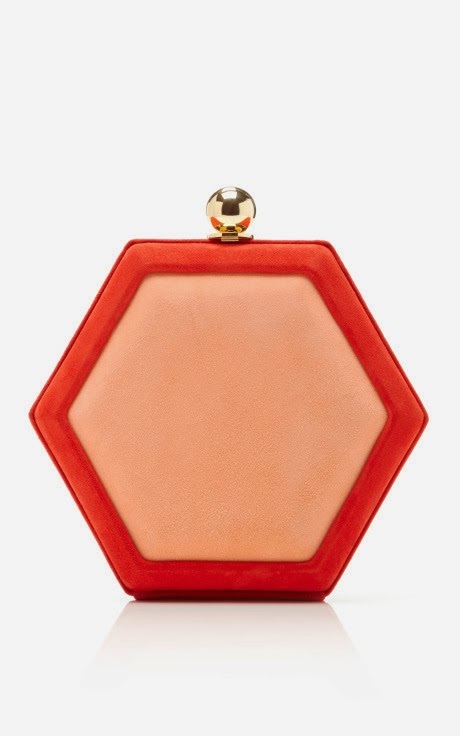 Oscar de la Renta Hex two-tone suede clutch, at modaoperandi.com. 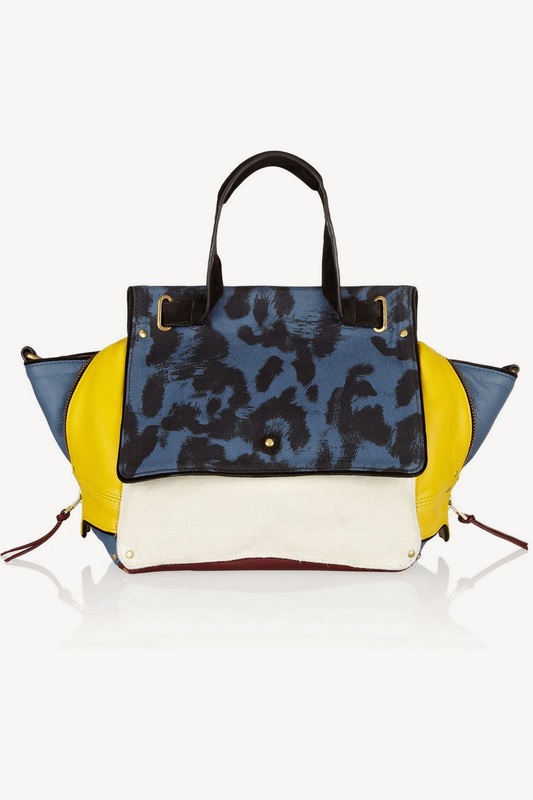 Jerome Dreyfuss Johan leather and leopard-print canvas shoulder bag, at net-a-porter.com. 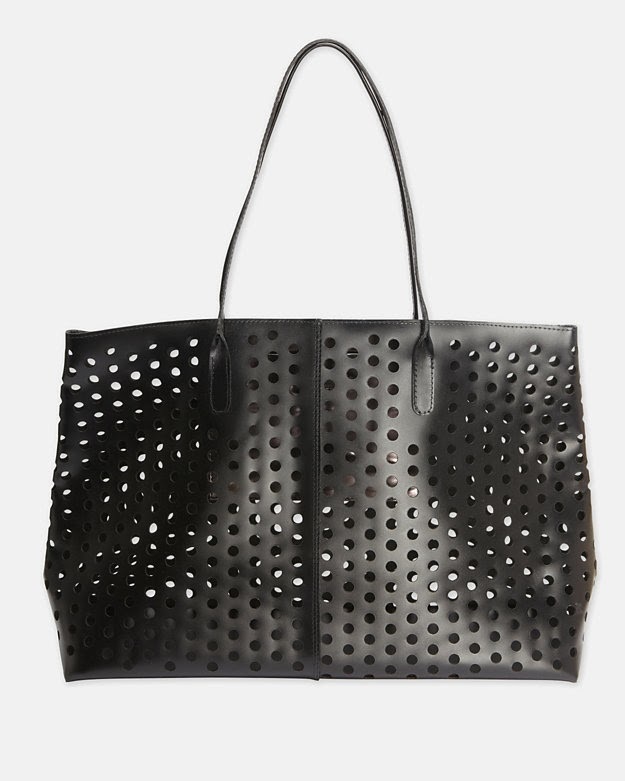 Rachel Comey perforated leather market tote, at intermixonline.com. 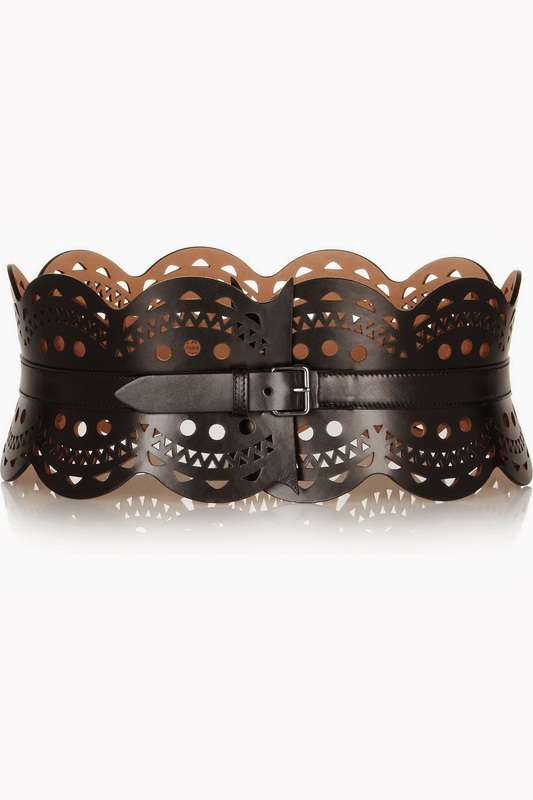 Alaia laser-cut leather belt, at net-a-porter.com. Rag & Bone/JEAN The Slim Crop Jeans, at shopbop.com. 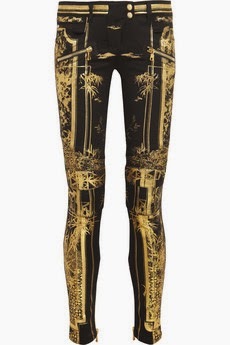 Balmain metallic printed low-rise skinny jeans, at theOutnet.com. 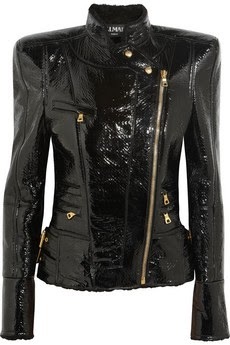 Yigal Azrouel two tone leather jacket, at intermixonline.com. Balmain shearling-lined PVC jacket, at theOutnet.com. 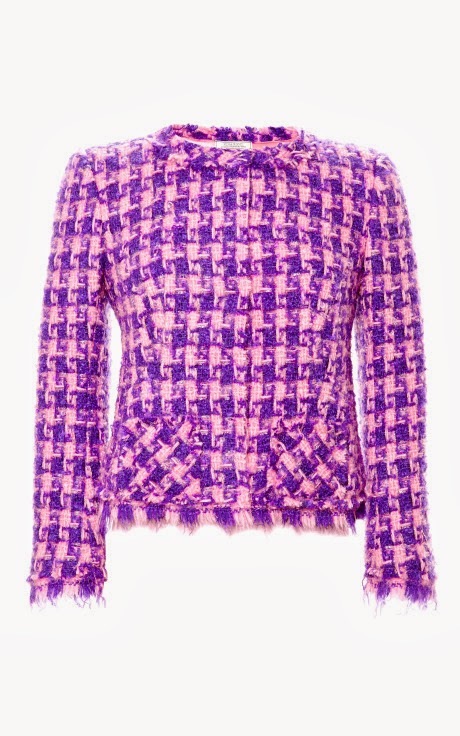 Nina Ricci two-tone wool-blend tweed jacket, at modaoperandi.com. Herve Leger studded waistline bandage dress, at intermixonline.com. Just Cavalli leopard-print stretch-satin jersey dress, at net-a-porter.com. 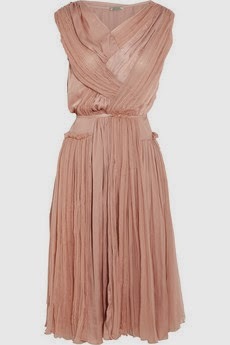 Nina Ricci gathered silk-chiffon and washed-satin dress; this and next at theOutnet.com. Have you found any fashion inspiration in this post? Love the Nina Ricci tweed, the R&B jeans, and the Birman heels.....thanks for sharing CC!!! That Jerome Dreyfuss bag is awesome!! Nice items. 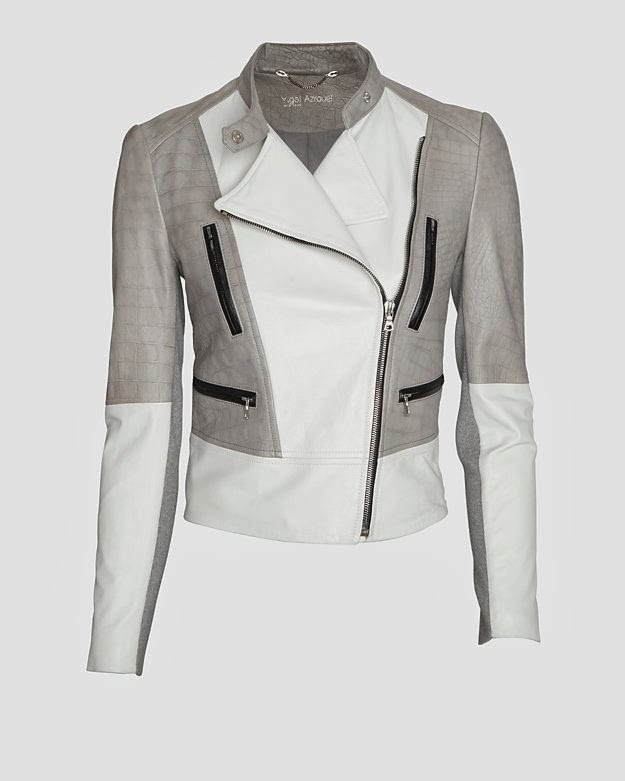 Really love the Yigal Azrouel two tone leather jacket. 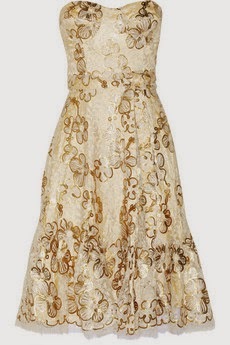 I need that Nina Ricci dress in my life. It's stunning. nice alice and olivia shoes! I love that sapphire ring! Love the Mulberry Pumps. Great picks.